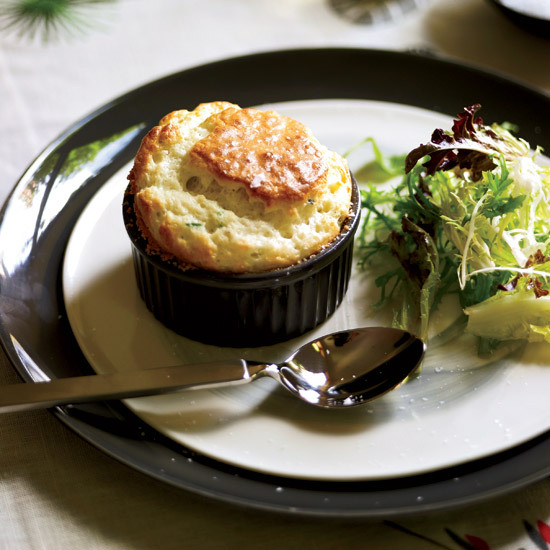 These Top Chef-approved dishes include lemon-curd sandwich cookies and roasted mascarpone-filled dates with watercress and brioche. 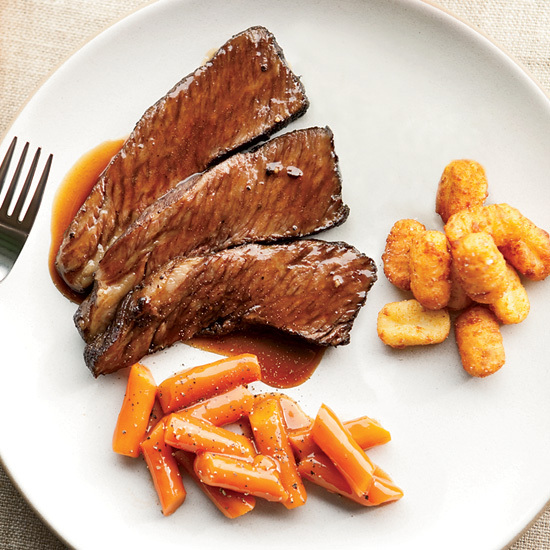 For his eminently doable but still super-creative short ribs recipe, Top Chef season 6 winner Michael Voltaggio flavors the meat with the Indian spice rub garam masala, braising them in the oven for two hours until tender—no sous vide necessary. He pairs the ribs with gnocchi that he fries until crispy, a kind of haute Tater Tot. Chef Susur Lee, star of Top Chef Masters, is renowned for his creative, complex, Asian-inflected dishes at his restaurants in Toronto, Manhattan and Singapore. 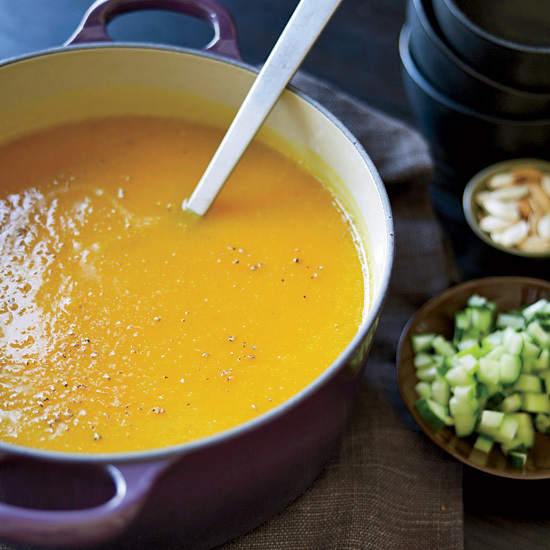 But one of his favorite cold-weather comfort recipes is this remarkably simple squash soup, which he sweetens with a little honey and garnishes with roasted pumpkin seeds. "How many lunchrooms have disgusting Taco Tuesdays?" asks Top Chef season 4 contestant Spike Mendelsohn. 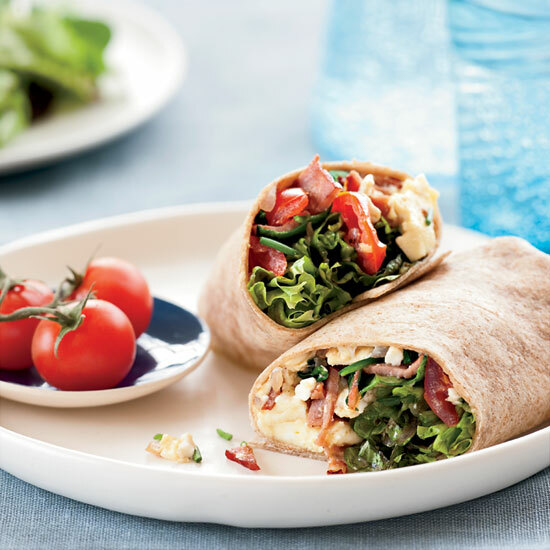 As an alternative, he stuffs burritos with scrambled eggs (lightened with egg whites), feta, turkey bacon and spinach. Richard Blais crashed in the final moments of Top Chef Season 4 when his pressure-cooked pork belly did not turn out to be as delicious, or nearly as tender, as he had hoped: He didn't leave the meat in long enough. 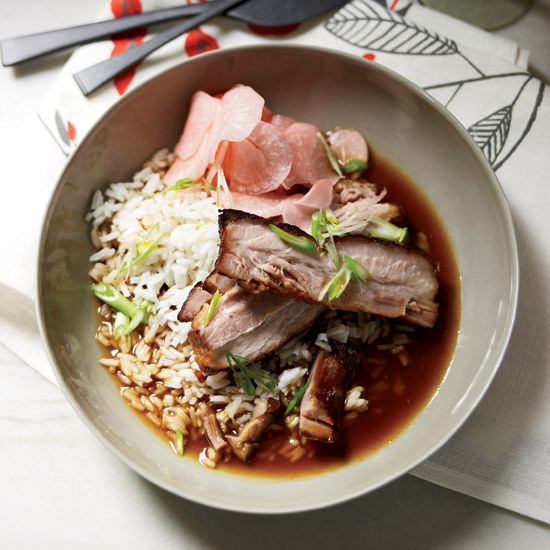 Gail Simmons chooses to stick with a more classic cooking method, marinating the pork overnight and braising it in a savory soy-and-mirin broth. 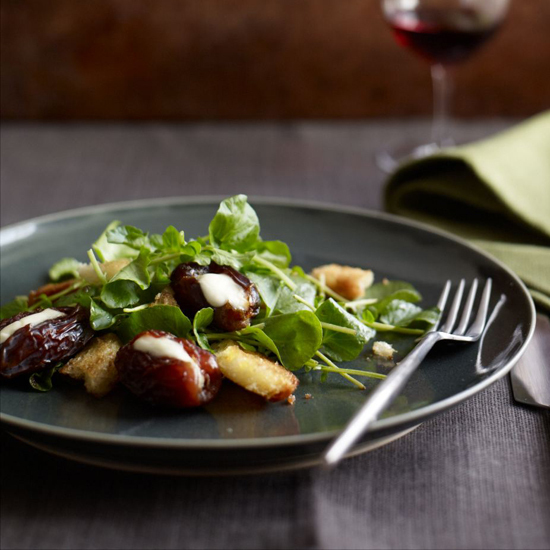 At her eponymous restaurant in Vail, Colorado, chef Kelly Liken serves these stellar dates with watercress and a balsamic gastrique (sauce). The recipe here swaps out the gastrique for a basic vinaigrette. 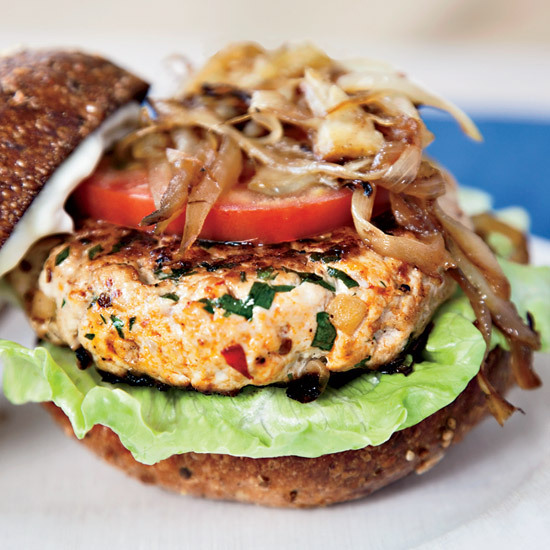 Top Chef season 4 contestant Spike Mendelsohn first made turkey burgers for the Obamas at the 2009 Easter Egg Roll on the White House lawn. He then created a version for the First Lady; at Good Stuff Eatery, he serves it with Swiss cheese and calls it the Michelle Melt. 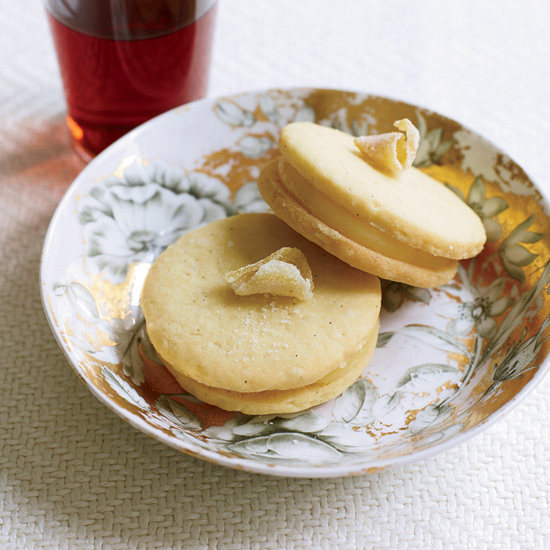 Sablés (French butter cookies) were Top Chef season 7 winner Kevin Sbraga's favorites growing up. "I'd sneak them when I wasn't supposed to," he says. His wife, Jesmary, who teaches baking, had the idea to sandwich them with lemon curd. 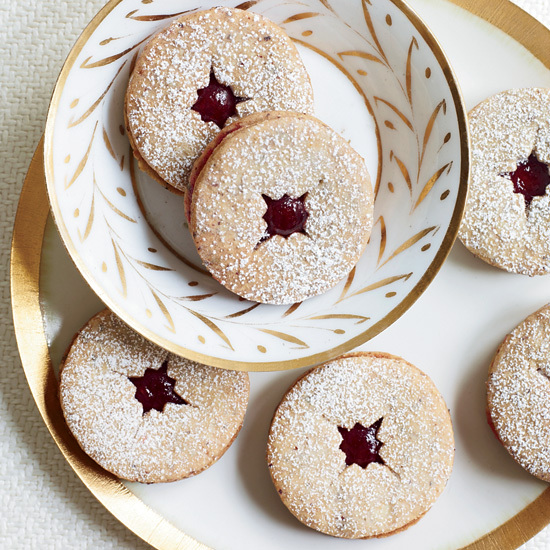 Top Chef season 7 winner Kevin Sbraga credits his father, Harvey Beachem, with creating these linzer-inspired cookies at Harvey's Bakery in Willingboro, New Jersey. He takes his father's recipe one step further, adding anise and coriander to the raspberry jam that he spreads between the hazelnut cookies (which are spiced with cinnamon and cloves).